​Liverpool overcame yet another tough challenge to maintain their title bid with a 3-1 win over Southampton on Friday, as Jordan Henderson proved his value to the Reds once more. The midfielder was omitted from Jurgen Klopp's starting XI, as Naby Keita and Fabinho lined up in a refreshed midfield setup, but it was Henderson who came on to add leadership and grit in the second half before sealing the victory with a goal late on. ​Henderson has regularly been cast in the shadow of ​Liverpool great Steven Gerrard during his time at Anfield, particularly since succeeding the club legend as captain, but the former Sunderland star has become an influential figure since arriving on Merseyside in 2011. As quoted by the ​Daily Mail, Klopp said of Henderson after Friday's victory: "It would be a shame if he was not better now than he was at 21. Of course, he is a much better player. "Hendo, from my point of view, is a brilliant player. He's our skipper, he's a fantastic character. If I had to write a book about Hendo, it would be 500 pages. So I'm very positive. "The most difficult job in the last 500 years of football was to replace Steven Gerrard. In the mind of the people it was, 'If it's not Stevie, it's not good enough'. And he has dealt with that outstandingly well so he can be really proud. "Now we have to think of the future and he is a very important part of our team. "When I came in and first thought about the team, Hendo was a box-to-box player. We made him a No 6 [a deeper role] and that's good. I think it's helped him a lot to play in different positions. Against ​Southampton the runs in behind their defence helped us a lot." That deeper role has seen Henderson contribute less in goalscoring terms in recent times under Klopp, but the 28-year-old admitted that he was pleased to get on the scoresheet against Southampton. 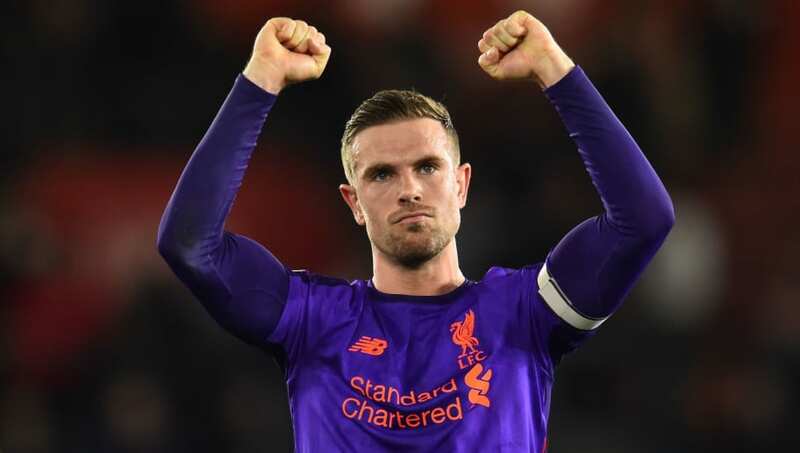 "I haven't got in those positions often this season because I've been playing a deeper role but I've had conversations with the manager and felt as though I could affect it a little bit higher up," Henderson said. "Thankfully I could contribute. It was a big goal."